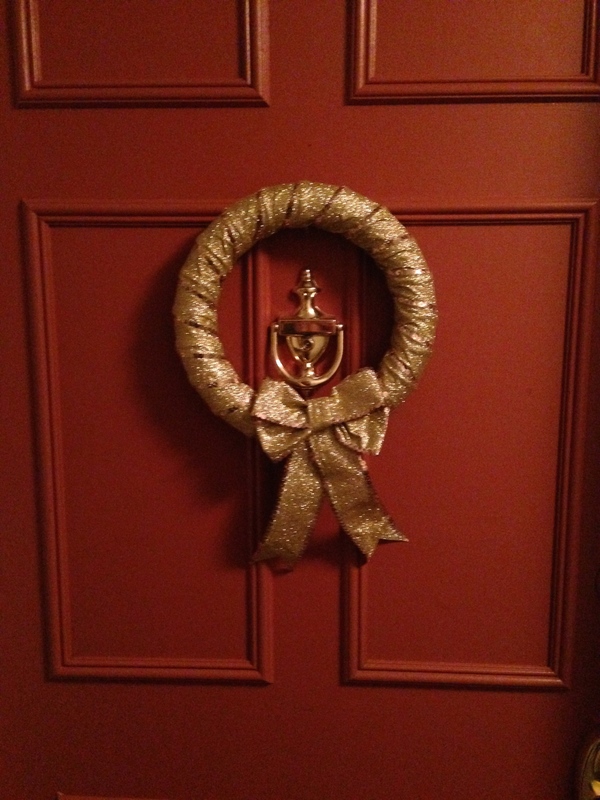 Foam crafting wreath. I bought this wreath at Walmart for $4.50. 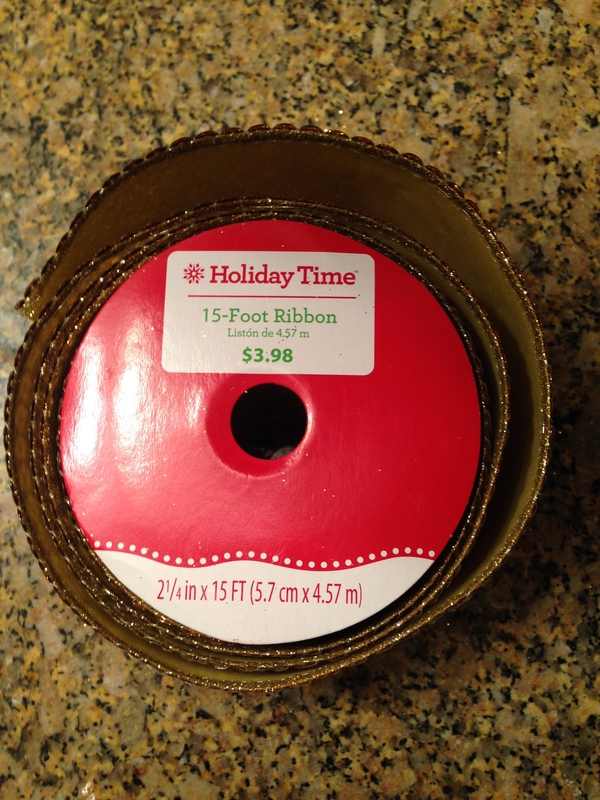 15 ft of thick ribbon. I used this and got it at Walmart. 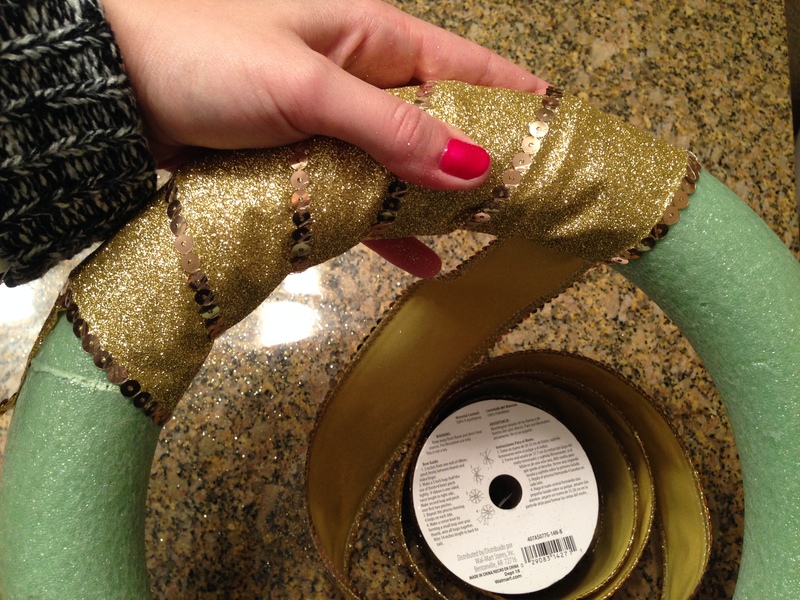 If you use sparkly ribbon, make sure you have a good vacuum or a space that can get glittery. 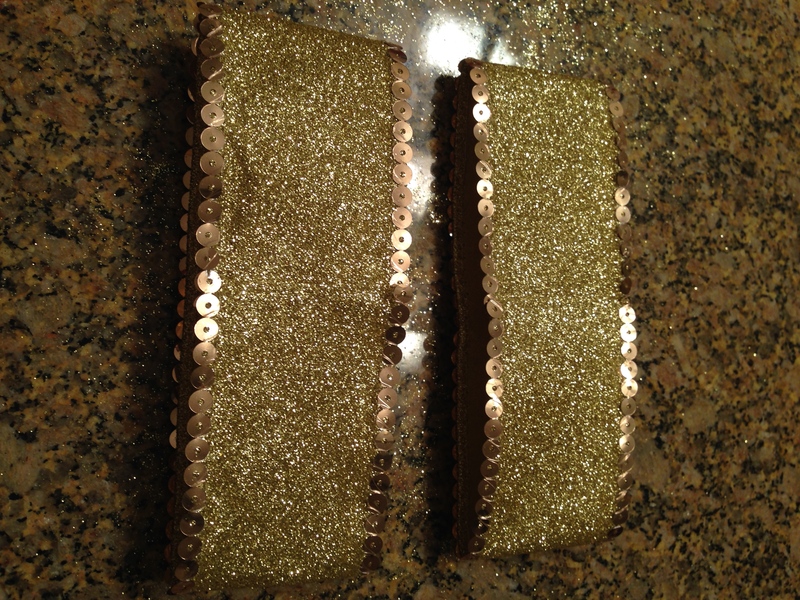 I have glitter e-v-e-r-y-w-h-e-r-e. Hot glue the end of the ribbon to the wreath. 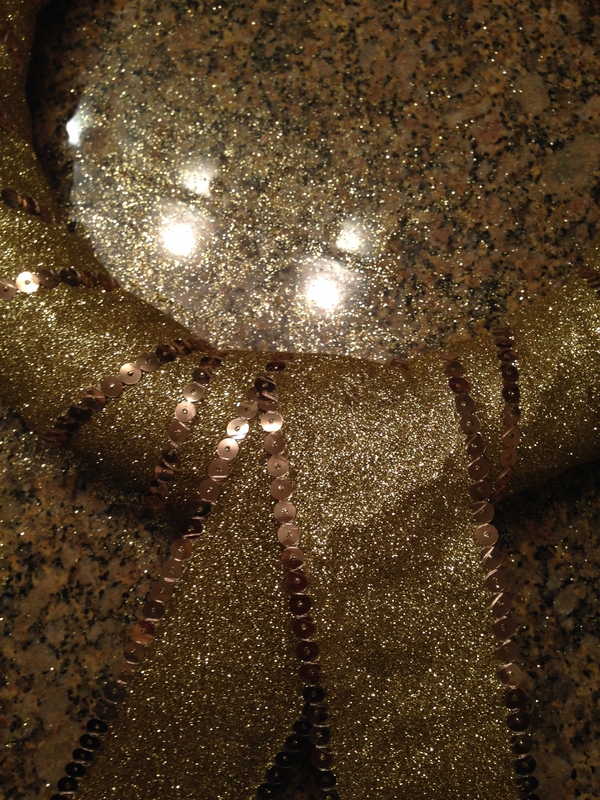 I glued the ribbon at a slight angle. Wrap the ribbon around the wreath, keeping the ribbon fairly tight. 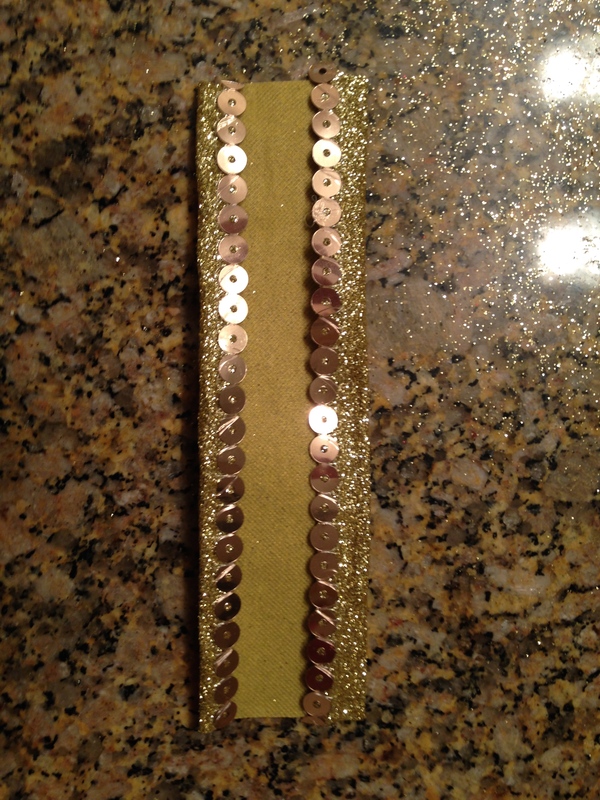 I lined up sequin edge to sequin edge. 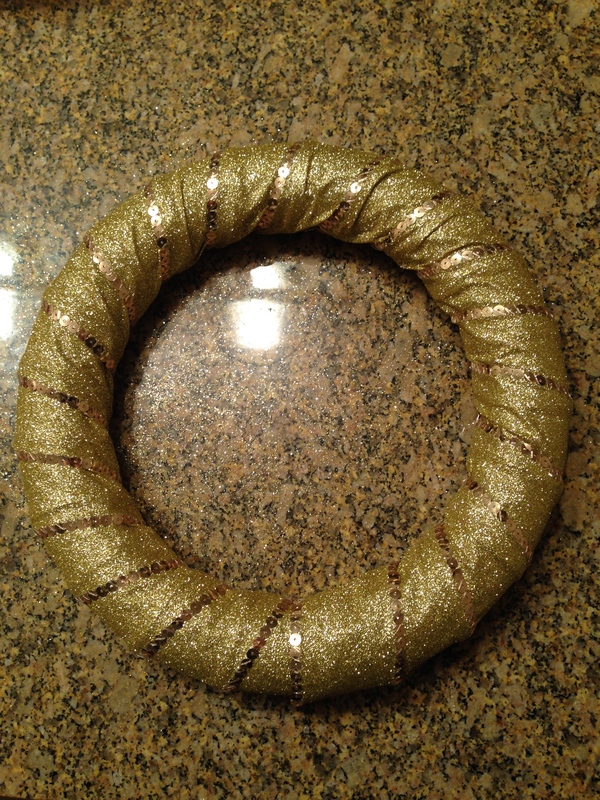 When the wreath is completely wrapped, cut the ribbon from the roll and hot glue the end to the wreath. Now make the bow. 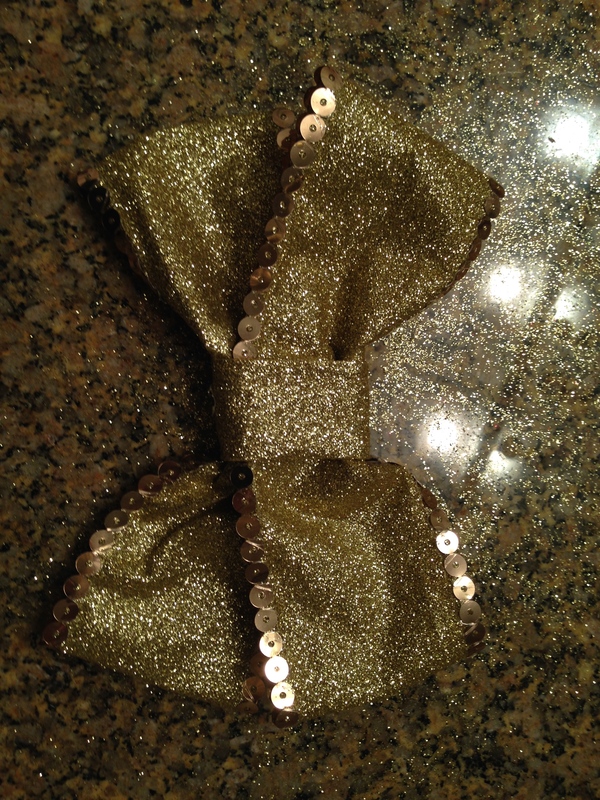 Since the ribbon I used was so thick and had wire on each side, making the bow was a bit of a challenge. 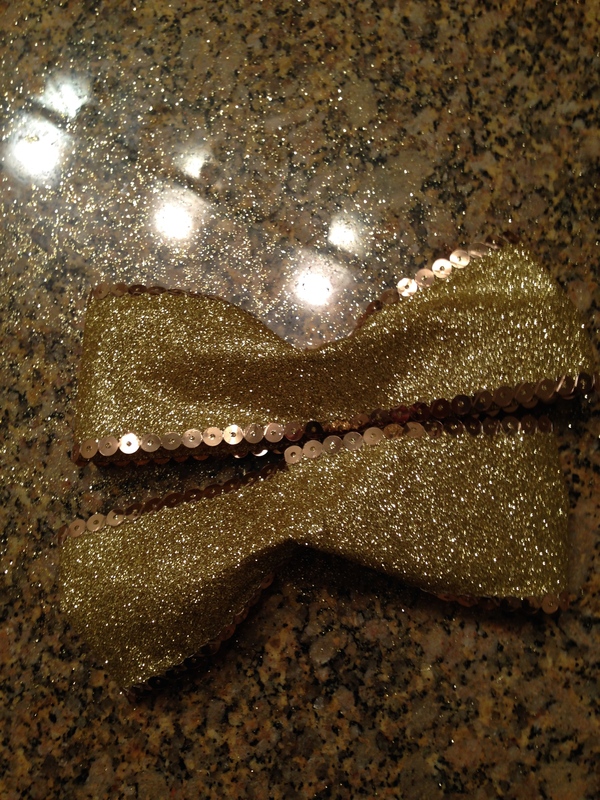 I didn’t tie a bow, instead I faked a bow by working with three pieces. 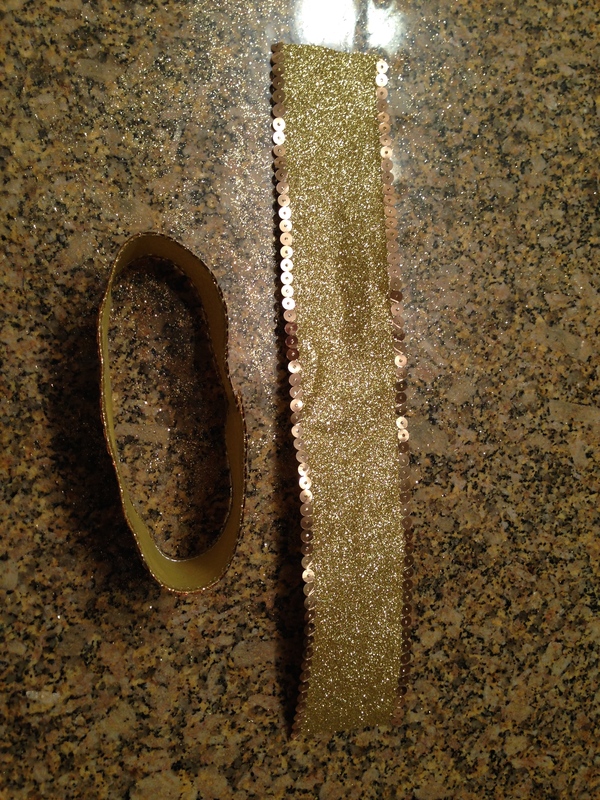 Cut two pieces of ribbon that were about 8″ long. 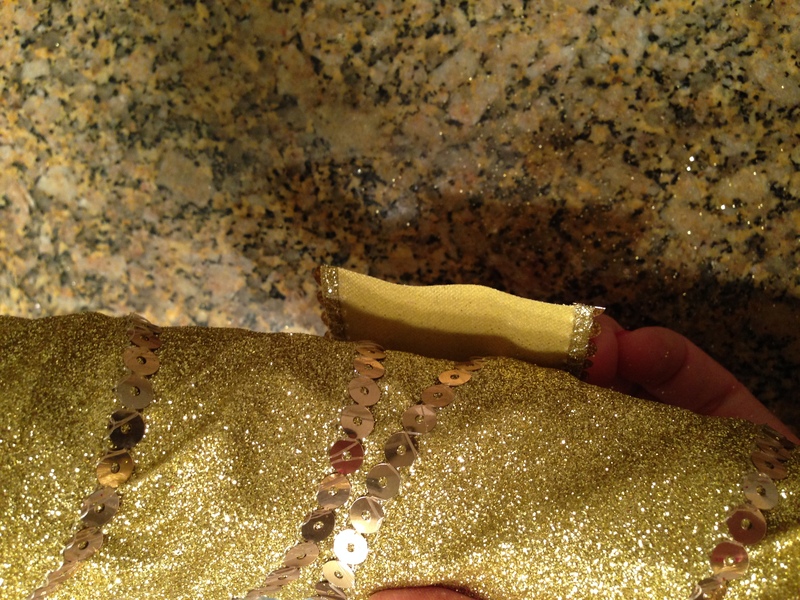 Then, hot glue the ends together to form a loop. Pinch the loops and place one loop on top of the other so they look like a bow. 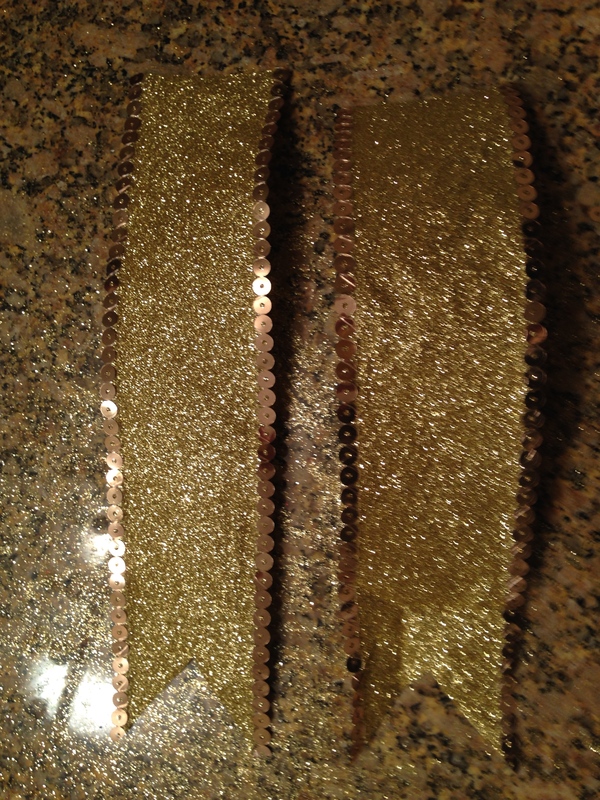 Cut another piece of ribbon, about 5″ long. 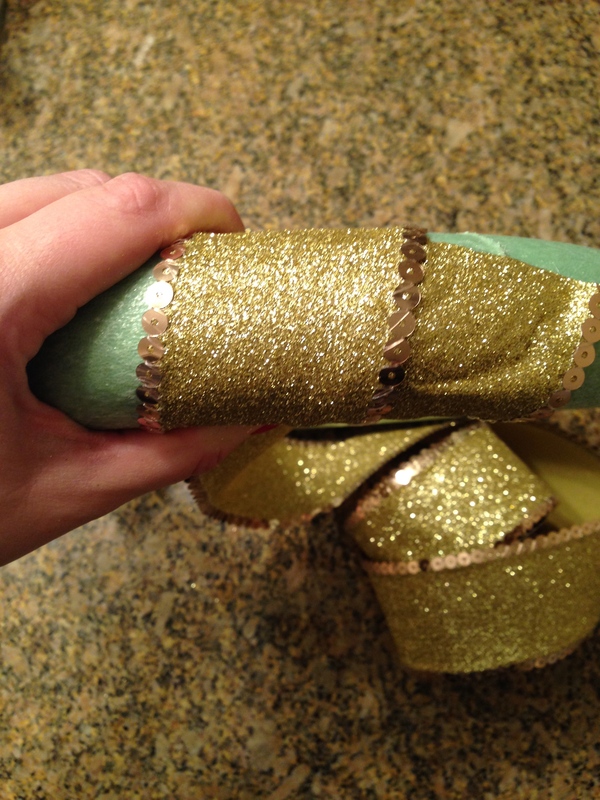 Fold the ribbon so that it’s not as thick. 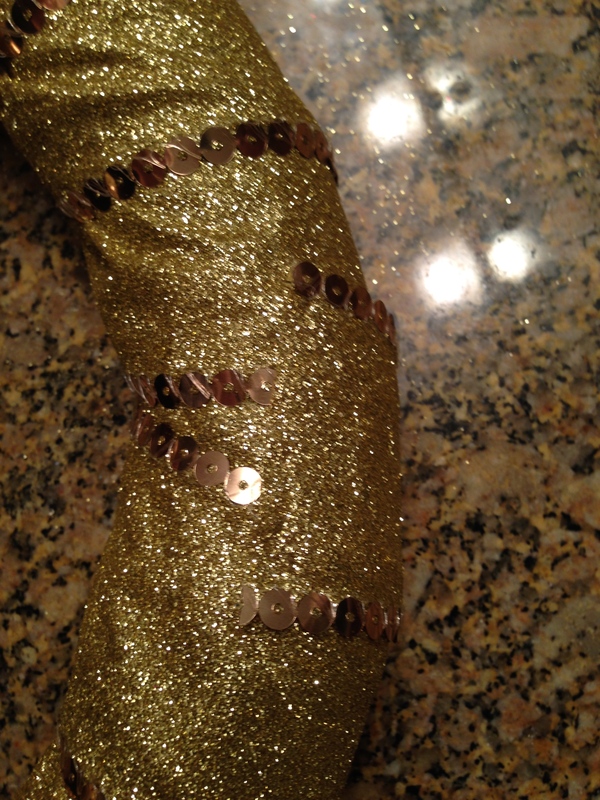 I folded the sequins inward so that they wouldn’t show. 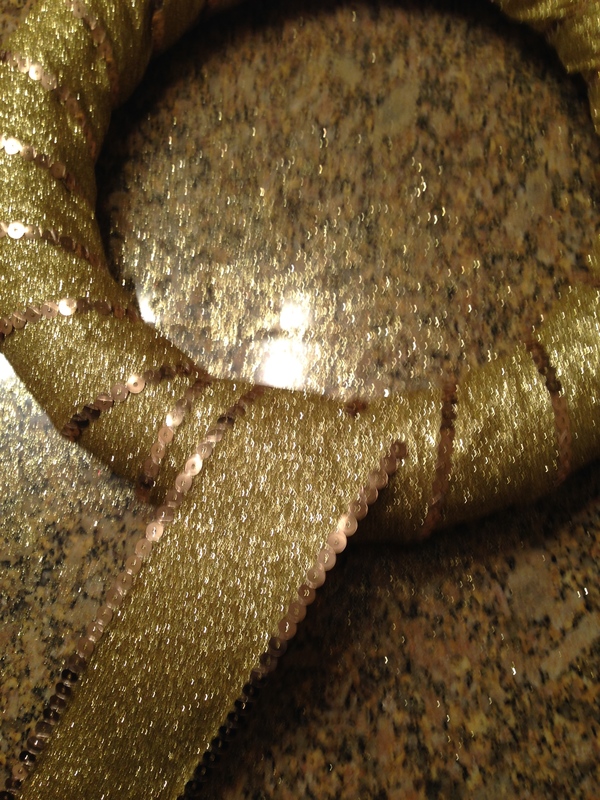 This piece of ribbon will hold the two loops together. 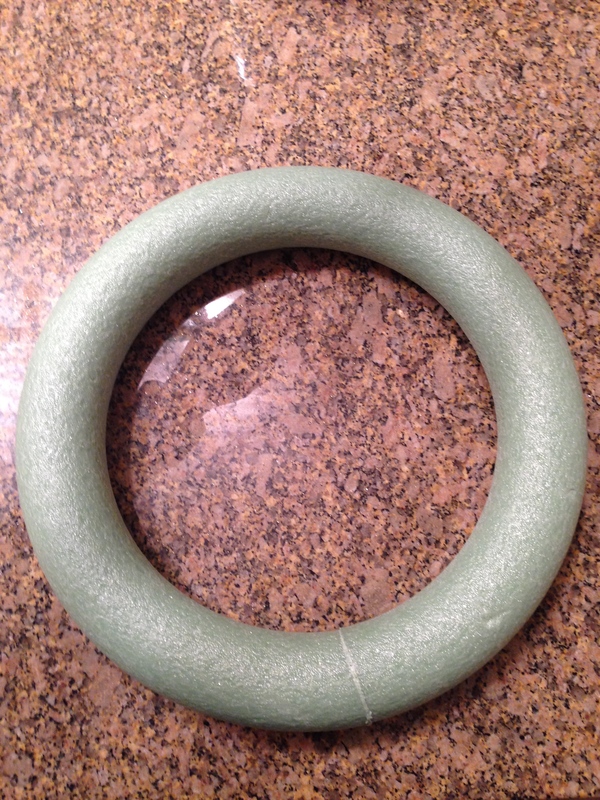 Wrap the 5″ piece around the center of the two loops. Hot glue the end of the 5″ piece so that it stays in place. Pinch and adjust the loops until it looks like a bow. Now take the remainder of the ribbon and cut it in half, into two equal pieces. Cut the ends so they have a “v” shape at the end. 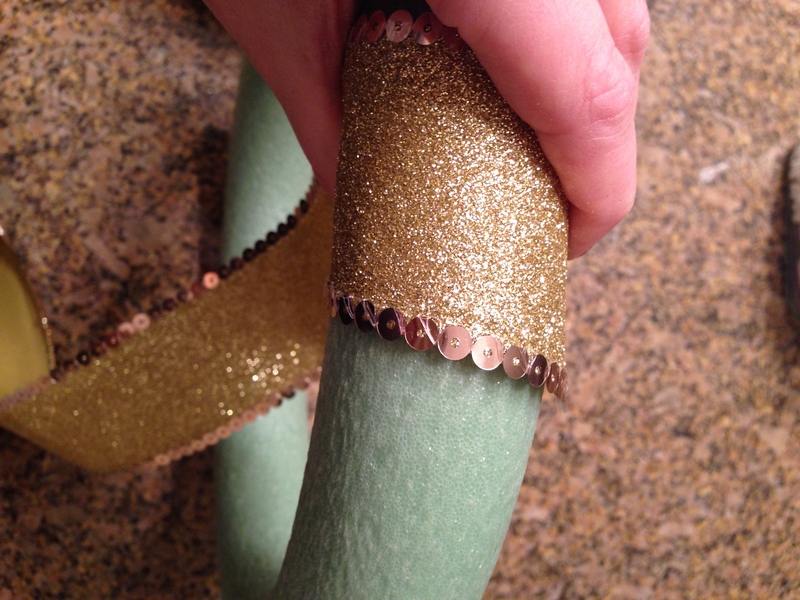 Glue each piece to the wreath with one piece overlapping the other and the cut ends out. 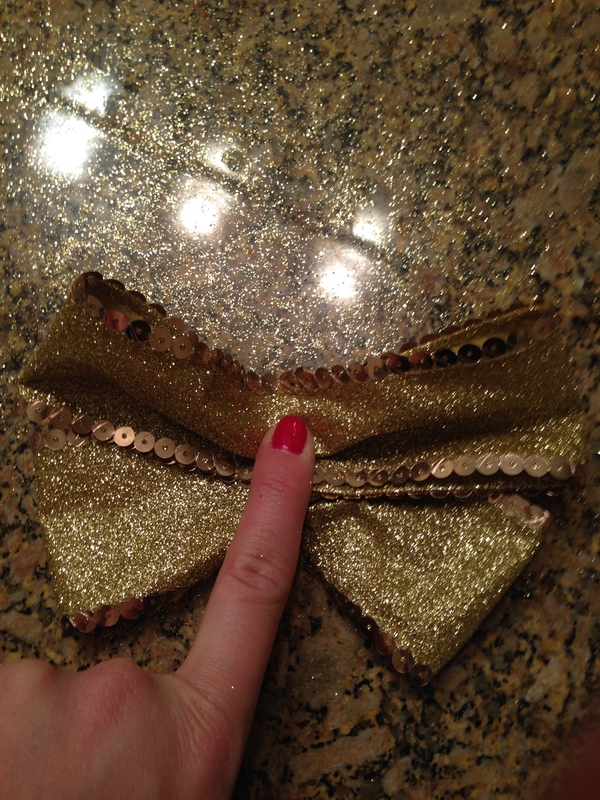 Glue the bow to the top of the two pieces of ribbon.